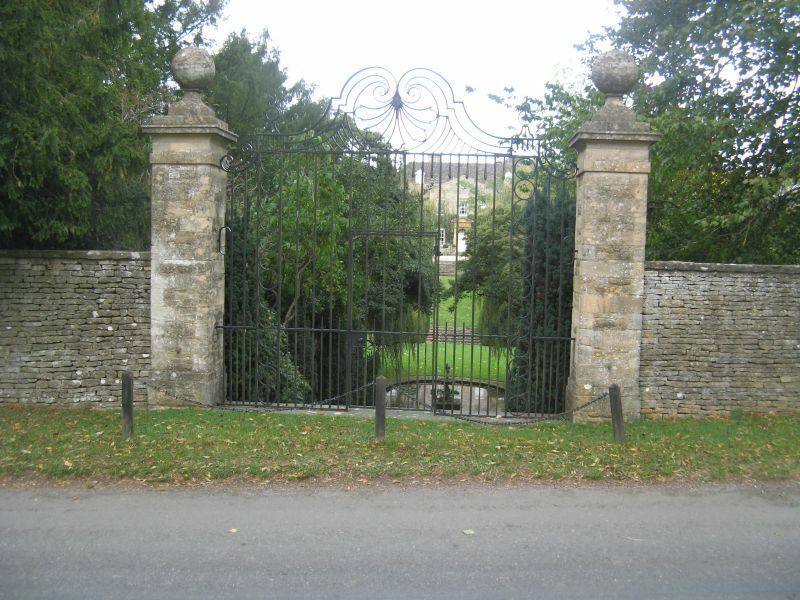 13/81 Gatepiers and gates approx. gates with scrolled overthrow. One of 2 sets on south vista from Cornwell Manor.